It wasn't long ago that the phrase 'Chinese smartphone' conjured up images of dodgy iPhone rip-offs and an inaccessible world of strange-looking devices that we'd never be able to buy. But that's all changing now, with several manufacturers looking to conquer the American market and take on established giants Apple and Samsung. Would stock Android make you buy a Chinese phone? Chinese smartphones already account for more than a third of the global market and that number looks set to grow, with companies like Huawei, Lenovo and Xiaomi consistently featuring in the top 10 worldwide sales lists. So why are they becoming so popular and why should your next smartphone be Chinese? We're starting with an obvious reason, but the value for money offered by Chinese smartphones is undoubtedly the main reason for their recent success. You could pick up an Honor 7, which has comparable specs to the US$650 HTC One M9, for a shade over US$400. Surely there's no contest. This isn't a one-off either. At almost every level of the market, Chinese phones are showing up the prices of their counterparts from the US or Korea. From the Xiaomi Mi4c, which we described as "the half-price Nexus 5X", to the Huawei P8, a genuine flagship phone at an incredible price, there is all sorts of choice out there. Which brings us neatly on to our next point. Most of us crave a bit of individuality but when it comes to smartphones, individuality is becoming rarer and rarer. As a result, we've lost that element of shock and wonder when someone pops an unusual device down on the table. Chinese phones are becoming increasingly well designed. Just look at the Meizu Pro 5 or the Lenovo Vibe P1. Manufacturers are no longer taking their cues from existing devices but offering something truly different. And that has to be worth something. The growth experienced by Chinese manufacturers over the last decade shows little sign of stalling and that could be good news for consumers. Traditionally companies like Huawei and Xiaomi have concentrated on their domestic market but, with some stagnation in China, they have their sights firmly focused on Western markets. One big problem Chinese brands traditionally faced was a lack of brand recognition, particularly important in the UK and US. But in recent years, there have been attempts to counter this. One example is Lenovo buying Motorola Mobility from Google for US$12.5 billion in 2012 and then the Motorola handset business for nearly US$3 billion two years later. Releasing its phones (the Moto G, for example) under the more-recognized Motorola name has helped increase Lenovo's market share massively – and has given consumers a much better choice at the lower end of the price scale. But it's not just the lower end of the price spectrum that has been affected. Phones like the Huawei Honor 7 are definitely targeting the premium market, but still carry much more affordable pricetags. Could this lead to the established big guns in the US and the UK lowering their prices to compete? You'd have to think it's possible. Appearances are always subjective, but there are some good looking Chinese smartphones out there these days. The Huawei P8 and the OnePlus 2 are up there with anything else on the market. In addition, the build quality tends to live up to the design. A lot of foreign manufacturers have been making their phones in China for some time and that expertise shows. As the rise of Chinese smartphones shows, the world is becoming a smaller place, and travelling is much easier than it's ever been. But while people can easily move between countries, their mobile phones often can't. Most Chinese phones address this problem with a dual SIM slot, meaning that if you live in one country but have to travel to work in another, you can switch between two SIMs easily. In addition to this, virtually all the Chinese smartphones available abroad come totally unlocked and carrier-free. This means you can pick a phone tariff that works best for you and leave when you want, a big advantage for many people. Are you tempted by a Chinese smartphone? Have we missed any advantages? Share your views in the comments. I own an iDROID Tango 2 by iDROID USA. This is a mobile handset specifically designed in the US. It is fast and has top of the line specs with a decent battery life. I would recommend it to anyone who wants to take selfies in the pitch dark on account of its FRONT FLASH. you know why chinese phones has dual cards? as i said the comment below, hong kong and macau uses sim restrict but mainland is sim mainland is different! simplifed chinese!! I am using traditional chinese I am from hong kong!! I will use chinese phone for second phone. And never use chinese for any data conections. They always send my data to the manufacturer and his country. And the adv is very annoying. My last phone was the OnePlus One, now I got myself a Huawei G8. I'm quite happy with my choice especially because of the battery life! i will buy Huawei again even though they integrate CleanMaster into their system. And EMUI? Looks like iOS. But you can always change your launcher. 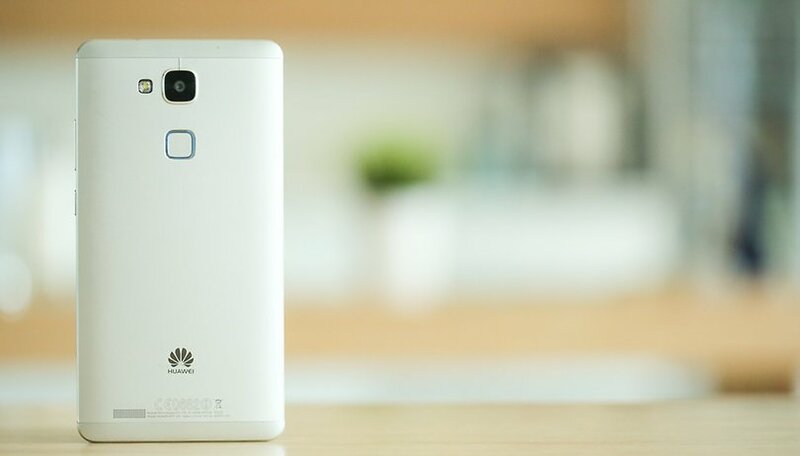 I have huawei p8 and Im very happy with my choice. Im sony xperia fan SMART PHONE. Fantastic camera, High volume speeker, no lags, very good review in sun Light. It looks ok but a bit basic to me, , nice big battery though . but the review doesn't really go in depth enough to make an informed decision ,and its one thing to talk features show pretty pictures , but to see how it goes with a head to head comparison with some other devices will tell the tale. does it have fast charging ? NFC ? screen quality in sunlight ? speaker quality ? build quality ? durability ? I will never buy a Chinese made smart phone. I will not buy anything Chinese if avoidable. where I live that's not always possible. I do not like the labor policies, south china sea aggression, and they destroy the environment faster than any other country with their lack of environmental concerns. Plus all smart phone collect data and send it back to the manufacture. I rather that be a country allied to us than not. That's what I thought! You're amazing!!! How can you avoid China made smart phone? Virtually every damn phone now is made in China regardless of brand: Apple, Samsung, HTC, you name it, it's all made there. Sure if you buy a Samsung phone you might get one that's made in Vietnam or Korea instead of China, but you have to pick carefully. It seems he has no problem sending his data to some "allied" country. He must be in war with Chinese or something. I am not at war with anybody. I know most but not all phones are made in china. At least they are not china based companies. As a regular person it is the only way I have to up hold my beliefs, is not to support things I do not agree with. Just like I will not buy a phone without a removable battery and Micro SD slot even if I have to buy an older model. They are things I want in a phone and they are disappearing because too many people will settle for what they give you instead of what they want. Companies make more money selling phones without those option than with them. I also make sure all of the data monitoring is turned off, that I can turn off. I never use a phone for banking, shopping to much info too easily compromised. I will, never use the cloud storage for the same reason it is just another way for companies to access your data and make money off of you by renting you space on there severs.